KALLE VILPUU is a multi-instrumentalist musician from Estonia. A long-tenured player, Vilpuu has played in the Estonian band ULTIMA THULE since 1991, and released “Silver Lining”, his first solo record, in 2013. As someone who was very into 80s guitar shred, I think it’s important to be skeptical about guitar solo-albums in general, as there was (and still tends to be) either too much experimentation, or vapid, mindless guitar wankery. Starting with the curious transmission sounds that signal in opener "Anomalies" Vilpuu uses a variety of effects and instruments to conjure vast sonic images for the listener, painting a picture that engrosses the listener over time the way a more immediate display of intensity could not. The guitar is used as a mood instrument, making use of sounds that go beyond simple riffs and leads and possess emotion of their own, although Vilpuu on occasion sneaks in silky-smooth leads that have a certain Steve Vai-like character to them. “Trapping” has a very serene feel to it that makes it easy for the listener to just get lost in it. Much of the album is dominated by this kind of strange, almost other-worldly atmosphere, and here it possesses a noticeably tech-y vibe to it. 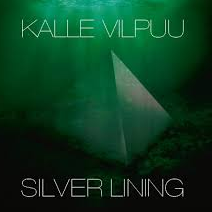 It’s interesting that guitar is mostly an afterthought here, as it is often across the album, but this really speaks more to Vilpuu’s maturity and vision as a songwriter. Any fool can jump on the internet and learn how to play arpeggios half as well as, say, Jason Becker, but it takes another skill entirely to balance satisfying musical parts with a realized song concept. “The Touch of Angel” and “Rosie” are similarly calm and refreshing with their delicate sound effects and whispering guitars. The Rock medium is explored more fully on powerful songs like “Forgiven” and “Industrial No.4”, though it’s more of a vehicle for Vilpuu’s musical expression than an actual musical quality. That is, it is very Rock-like, but its not quite Rock like, say, VAN HALEN or AC/DC fans might expect from the term. I’m a bit picky when it comes to instrumental Rock albums, but “Silver Lining” is definitely a worthwhile pickup. The music is intelligent, contemplative and understated, making it a great album to just turn on and drift away to, savoring all of the little details that make it both engrossing and stimulating to the senses.